Welcome to TLC Recorder. We love the wonderful sound and responsiveness of a great recorder and are confident we can help your instrument approach that ideal. Whether you need a thorough tune-up (which we call optimization)... or a thumb bushing... or extensive repair... the work we do is highly skilled, reasonably priced and personalized. Our customers love the instruments they get back. Our in depth optimization service begins with contacting our friendly repair person, Werner by phone, text or email. Tell him about your instrument and the results you're looking for. Next, ship your recorder to us fully insured. Our work will include cleaning your instrument inside and out; checking and repairing the tenons (joints) and any keys to insure airtightness; revoicing and fine-tuning; and oiling. The revoicing process is where the largest gains are usually found in strengthening and balancing the registers and enhancing the tone quality of your instrument. 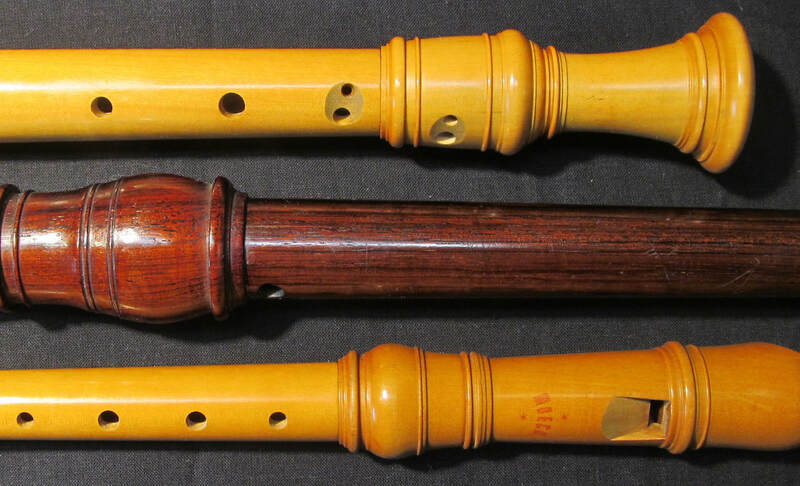 Since during this process Werner will come to know your recorder quite well, he'll write up a report which suggests optimum fingerings, tuning and playing observations and some maintenance hints. Return shipment of your instrument is within 10 to 14 days of arrival at our shop. We can retrofit recorder blocks with a ceramic insert which absorbs moisture (as Moeck tried in the 1980's). This reduces clogging problems considerably. Our ceramic has been used since 2000 and has proven durable and effective. See Clearway page for complete details and pricing. We can most often repair cracks and other damage and reinforce the compromised area. An instrument with a cracked mouthpiece can often be restored to play better than new with a Clearway upgrade. Refinishing of the exterior is also possible. Contact us for an estimate if you have a damaged or worn instrument.